Paz Tanjuaquio / TOPAZ ARTS, Inc.
A10 IDEAS ARE TO WORDS, LIKE X IS TO DANCE? A11 IS IT OVER BETWEEN US? 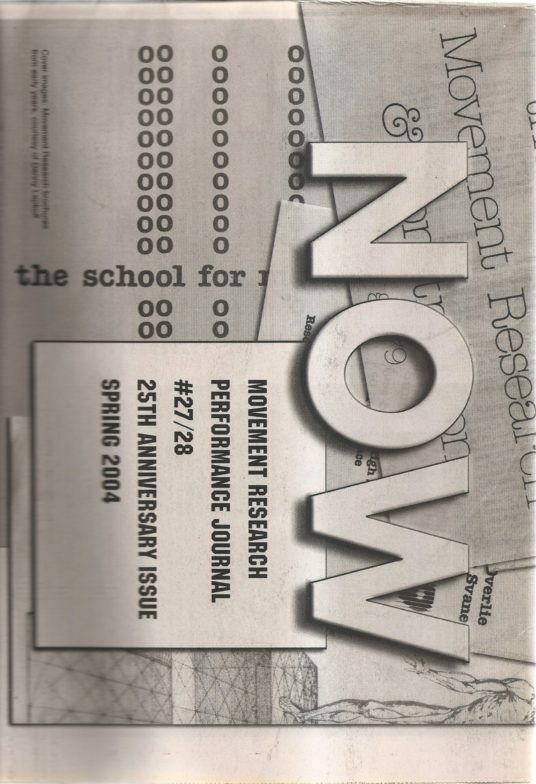 A22 POSTMODERN PERFORMANCE: A PRE-MODERN HERITAGE? MR IS OLDER THAN I AM, AND THANK GOD IT’S HERE. B19 CAN YOU FIND THE SEXISM IN THAT MOVEMENT? B28 I AM LOOKING FOR MY LOST I.Q.